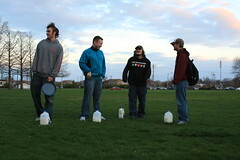 Got Milk 4: Puke Your Duodenium out from Nate Atkinson on Vimeo. WOW. A lot of guys almost finished the gallon, Kaleb came back out, but even he could not finish. The large monetary prize goes on to Got Milk? 5. Enjoy the barfing.